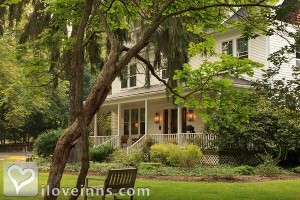 Danville bed and breakfast travel guide for romantic, historic and adventure b&b's. Browse through the iLoveInns.com database of Danville, Ohio bed and breakfasts and country inns to find detailed listings that include room rates, special deals and area activities. You can click on the 'check rates and availability' button to contact the innkeeper. Danville is a village in Ohio called the 'Gateway to Amish County' because it is the first site that visitors and tourists will pass if they head to Amish areas near Mount Vernon. The village is particularly filled with people during the Danville-Howard Turkey Festival in June. During this occasion, fun activities are held at Danville Community Park. The village's two trails are the most popular sites though. The Mohican Valley Trail is a favorite of those who love to go horseback riding. Those who would rather go biking or jogging can try the Kokosing Gap Trail. These trails are accessible from Danville bed and breakfast inns. By The White Oak Inn.